When Etta James sings a heartwarming ballad or a sensual love song, one can confidently assume that she has lived every line of it. Etta had a stormy life full of highs and lows, but she kept getting up and singing. 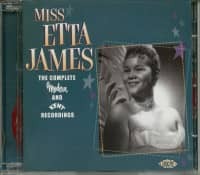 Born in Los Angeles on January 25, 1938, Jamesetta Hawkins was a five-year-old girl who inspired the congregation of St. Paul Baptist Church, where she sang gospel under the direction of Professor James Earle Hines. Her mother shipped her off to San Francisco at 12. A few years later James formed the vocal group The Creolettes with sisters Jean and Abye Mitchell. Doo-wop wasn't her only passion. We liked the King Sisters, we liked James Moody and'How Deep Is The Ocean', we loved Dave Brubeck, we loved Gerry Mulligan', says Etta James. The trio saw Hank Ballard and his Midnighters at a dance performance, and they were so excited about their Work With Me Annie that they wrote a reply song, Roll With Me Henry. One of the Mitchells met bandleader Johnny Otis at the Primalon Ballroom and persuaded her sister and James to take a taxi and come to the audition at Otis' hotel. When they arrived, the teenager Etta got a little queasy in the face of this late evening situation. I was so shy,' she says. 'He said,'Go to the bathroom and sing!It worked - Otis immediately booked a studio in L.A. and produced the song for Modern under the less suggestive title The Wallflower. The vocal group became The Peaches and Jamesetta Hawkins also got a new name from Otis. "He knew my first name was Jamesetta,' she says. 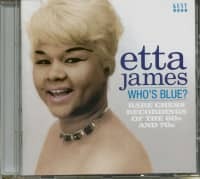 'He just turned it around and called me Etta James.'" 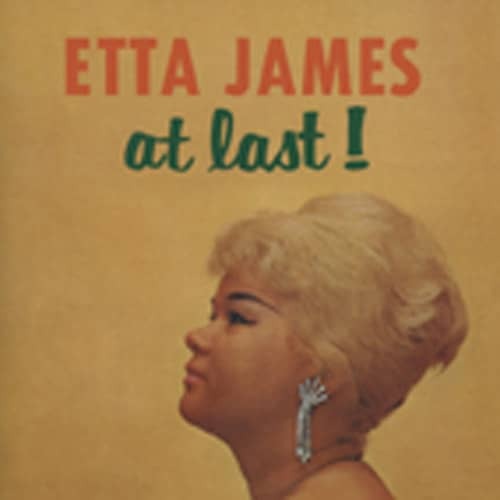 The Wallflower topped the R&B charts in 1955, but Georgia Gibbs' embarrassingly boring cover version destroyed any hope of a pop crossover success for Etta James switched to the Chess sub-label Argo in 1960. Leonard Chess was a real record manager,' says Etta, whose friend Harvey Fuqua of the Moonglows aroused her interest in singing old standards like At Last and Trust In Me. 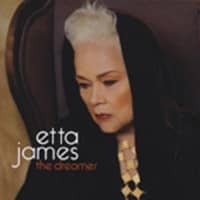 These string lined ballads made her a star in 1961,'I remember Leonard walking through the control room, I saw him through the separation window,' says Etta. 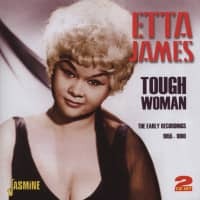 The hits dwindled, so Chess sent Etta to Muscle Shoals in August 1967 - a change that refreshed her career with the fervently hot R&B top ten success of Tell Mama. Rick Hall's rhythm section included keyboardists Spooner Oldham and Barry Beckett, guitarists Jimmy Johnson and Junior Lowe, bassist David Hood and drummer Roger Hawkins, surrounded by a full load of horns. On the back of Tell Mama, released on Chess' Cadet label, was the moving I'd Rather Go Blind. A guy named Ellington Jordan was in prison in Los Angeles. He was at Chino Prison,' says Etta. He said:'I want you to visit me here in the institution, because I have a great song. But I only have part of it.' So we went there to visit him. You had a day room with a piano. And he started playing on it and said:'All we have to do here is put a bridge on it, then we've got it. "We'll share it." I said, "Okay." I sat there with him, we added a bridge and got it all going. Then we went home and everyone was crazy about it. "I owed the state money at the time, so we ended up giving the name of my son's father (as co-author)." Jordan recorded the song in 1969 for Chess under the exotic artist name Fugi. I'd Rather Go Blind was a hit for Chicken Shack that same year on Mike Vernon's Blue Horizon label in England with Christine Perfect as singer - soon after she married, was called Christine McVie and joined Fleetwood Mac. Bill Dahl from PLUG IT IN! TURN IT UP! electric blues 1939-2005 - The Definitive Collection! "Plug It In! Turn It Up - Electric Blues 1939 - 2005" on Bear Family Records won the prestigious award in the category'Best historical album' at the Blues Music Awards in Memphis, Tenneessee, on May 9th. The unique 12-part CD documentary provides for the first time a comprehensive view of the history of this important genre, irrespective of the boundaries that individual record companies point out. Our author Bill Dahl from Chicago was there and accepted the prize in front of about 1,300 blues musicians, journalists and fans. The Blues Music Awards, which are presented annually in Memphis for the best Blues releases, are considered the most important award worldwide and are also called the'Oscars of the Blues'. Customer evaluation for "At Last"